I do like it. Have you made any changes since the copy you gave me at FR? Nothing substantial. I think the Viisstri grey men special power and the Robot’s armour are the only changes, other than maybe a word or two here and there for clarification. The pdf has fewer races than the booklet, because of the pictures. I like it too. 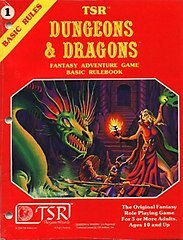 Do you have a separate character sheet pdf? Excellent – especially the Bard ! Oh damn! I totally forgot to put up the character sheets! Thanks for reminding me, John. Sean, glad you like the Bard. Hopefully this version is more fun than the usual D&D Bard! 1. All the basic moves remain the same as in AW, I guess? 2. When casting spells, only some of them count as moves (that is, the ones I have to roll for), am I correct on that? 3. What is an “Algol men”? Everything except Terran and synthetic? Do Pulvi and Shereshi count as Algol men? 2. Exactly. A spellcaster may have to act under fire to cast a spell (or continue to concentrate) in a difficult situation, but if the spell description does not call for a roll, you don’t make one. 3. This is one of those places where Blair’s setting material comes in handy. All the races except Terrans, synthetics, Pulvi, and Shereshi are human ethnicities native to Planet Algol, so they are called Algol men (even the Nire witches). Pulvi and Shereshi are very much inhuman. Whoa! Staying loyal with TSR… admirable! Means I am not the only who knows that Monte Cook didn’t really write all those books on his own, too. Perhaps I should get back to Warhammer Fantasy Roleplay 1st Edition as well. Oh, and when it comes to the sheets: Surprisingly for me Thief outmatched Sorcerer this time. I’d really like to check it out, but the link doesn’t seem to work anymore. Any chance you could upload the material somewhere?